Tell readers more about your organization or your fundraising goals with your free local information pages. 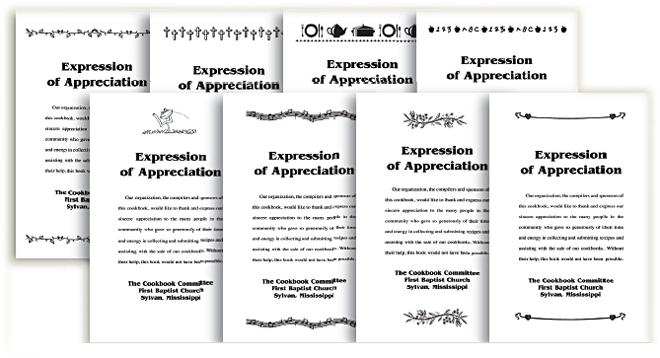 Four free local information pages at the front of your cookbook may be used for your personal content, and up to six additional pages may be added for an extra charge. 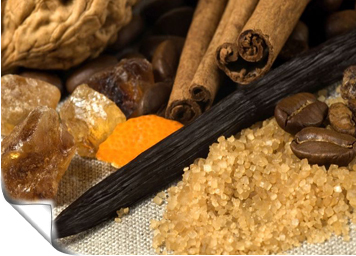 We offer eight sets of local information page graphics, which complement our recipe/section title graphics. If you prefer, graphics may be omitted by indicating so on your ORDER FORM. Please note that advertising cannot be placed on the four free pages. One free black and white photo or sketch may be included in your local information pages and additional photos may be added for an extra charge. As part of the base price, your cookbook will contain four local information pages, a table of contents, two indexes and a mail order page which will help sell your cookbook. 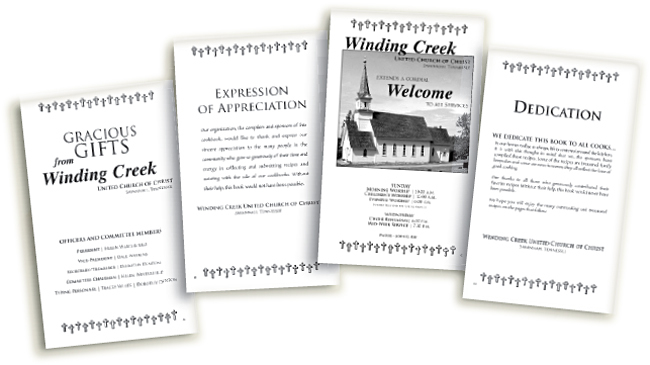 The Fundcraft Cookbook Publishing Program marketing and supply kit includes layout sheets to help you put your local information pages together. Four local information pages with your own content, including one black and white photo or sketch and your choice of nine page graphic sets. Your local information pages will include one free black and white photo. Additional photos may be added for an additional charge. Photos can also be printed in color for a per photo per book additional charge. Note: Our black and white printing method produces good but not high quality photos. The quality is comparable to newspaper photos, acceptable in short-run printing. Please see artwork submission guidelines for photo and file requirements. Inspirational poem or story, such as "Recipe for a Happy Family", "Recipe for a Happy Home" or "Keep Your Fork"